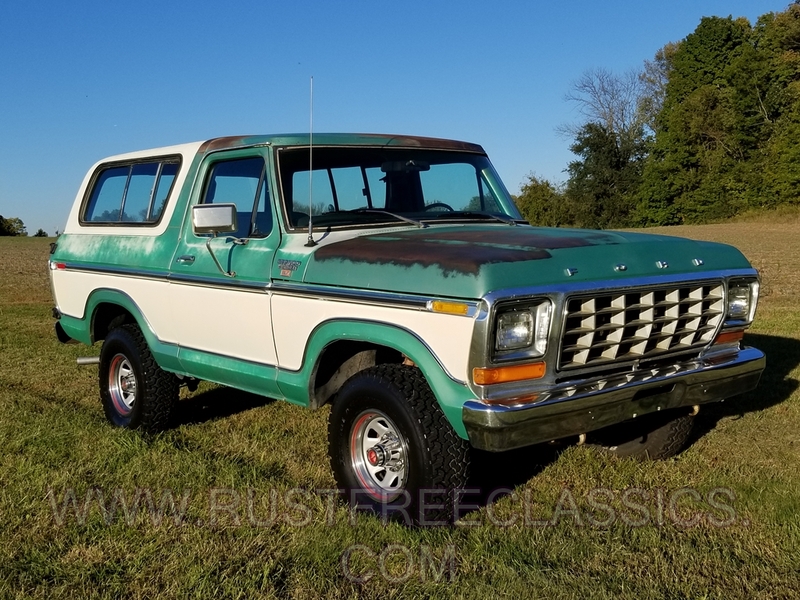 1978 Bronco with the Top-of-the-Line Ranger XLT trim. 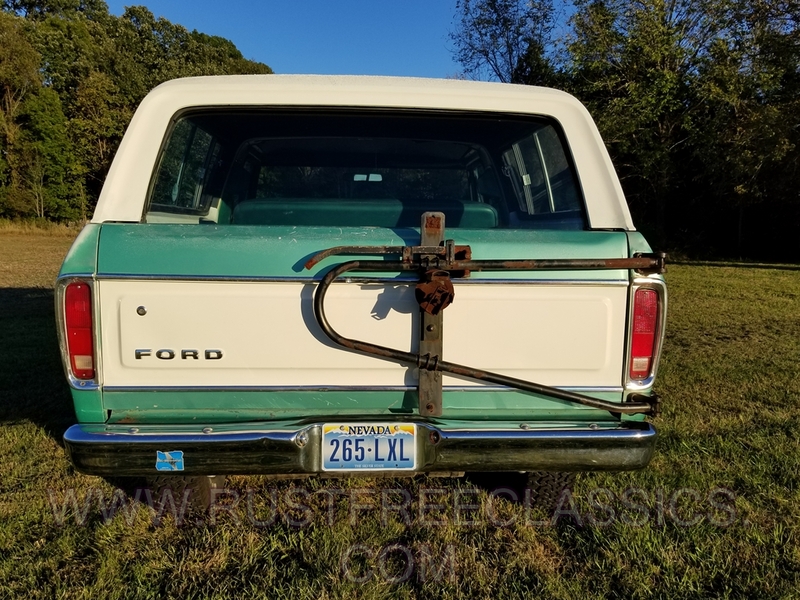 It is 100% rustfree, and still has most of it's original paint. The previous owner got it from the original owner and was very adamant that the 66k were actual miles. It has a smooth strong 400 with a nice shifting C6 automatic. It doesn't leak a drop. 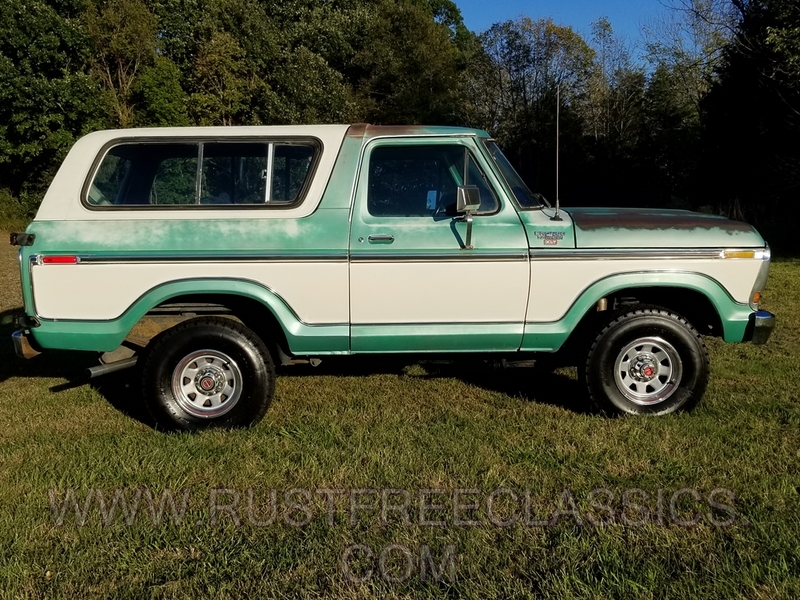 It is well optioned with XLT trim, two tone paint, PS, PDB, Power rear window, Bucket seats with console, factory transfer case and fuel tank skid plates, etc. 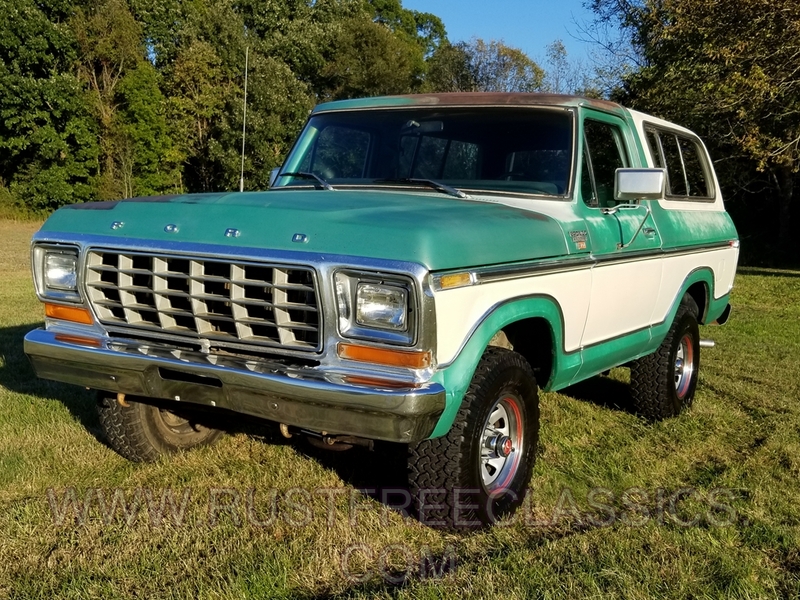 This Bronco drives exceptional. It has nice 31x10.5x15 BFG's on factory Ford rallies. The suspension is tight, and the brakes stop nice and straight. We just had new dual exhaust installed, with nice sounding turbo mufflers. The battery and master cylinder are also new. 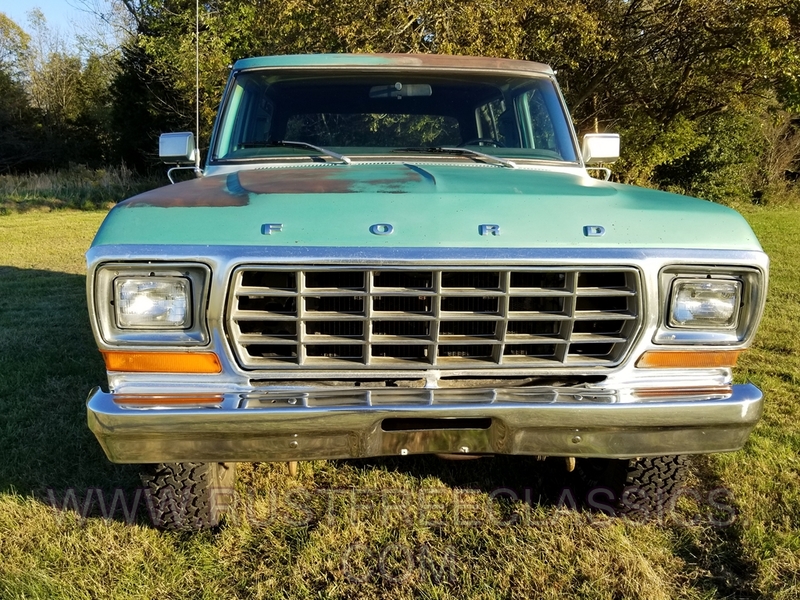 These Broncos were the last of the heavy duty Broncos. This one has the straight axle Dana 44 front, heavy duty NP205 transfer case, C6 automatic, and a 9" rear with 3.50 gears. This is a very original survivor. Even the interior is all original with exception of a stock location Pioneer radio. The body is very straight, other than a crinkle in the left front fender. 100% rustfree, original paint survivors are all but gone. 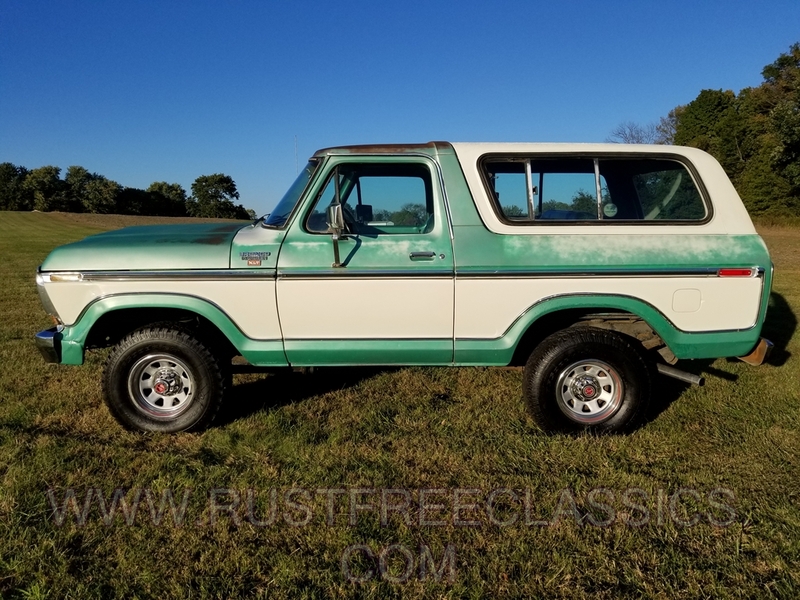 Overall, this is a nice clean no excuses Bronco XLT that has a nice muscular look. I wouldn't be afraid to hop in and drive it cross country. Front Axle: ('78-79) W / P.S.